Supplies: Crew neck shirt. Get 2 if you want the cowl to match. You can also use other fabrics for the straps. I want to do leather buckles for my next one. 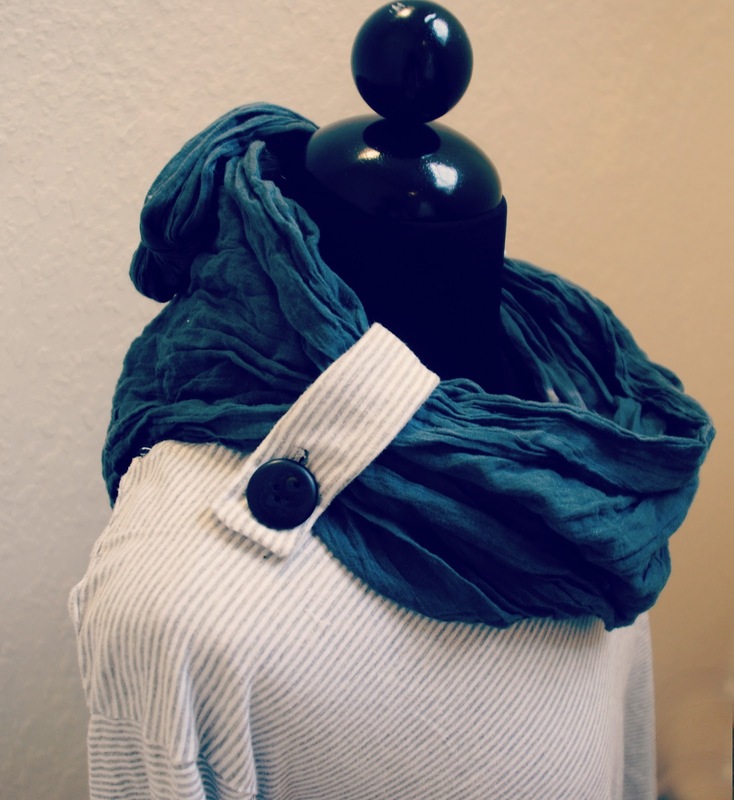 Another twist on your average shirt and all you need is 2 buttons and scraps. I used the same fabric for the cowl but you can use all kinds of different scarves to wrap around your neck. Make the straps by sewing the fabric right sides together and flipping out. Mine were about 6 inches long, you can shorten them as you see the fit. 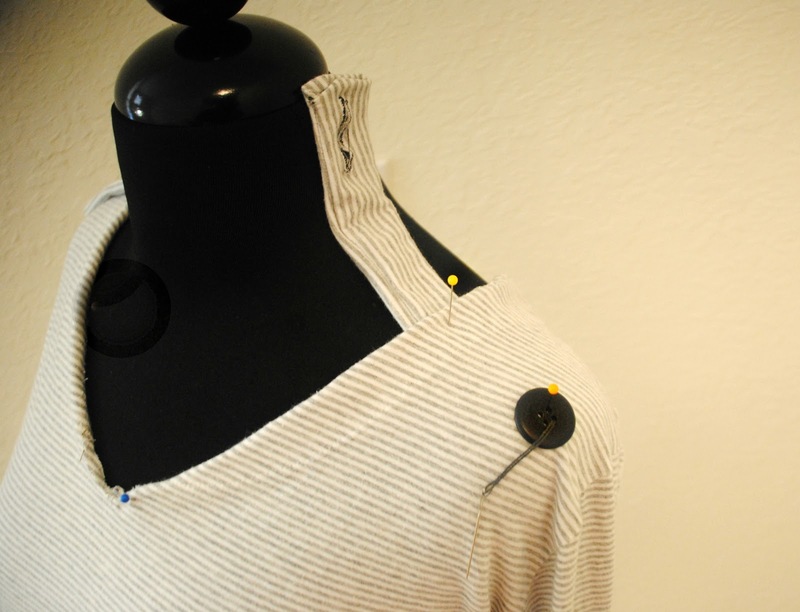 Sew button hole and finish edge. Sew the flap and the button on the should seams. If you want to sew the cowl on...wrap it right sides together and sew all the way around. The back will need to be sewn up as well. I love this idea with the scarf! So clever - now I must bookmark this page! I love the things you make. This is great! Edgy and interesting. Very cool look. This is one of the few diy blogs I have seen where the projects consistently look design-y and not diy-y. Which is to say, I really enjoy the ideas and the quality. One of my favorite compliments. Thank you. I hope to continue to look "design-y" for sure. Absolutely brilliant. TOTALLY doing this. Thanks!!!! A few weeks ago I bought a shirt similar to this. A few days ago I came across your tutorials and tried this one out. Now, I actually prefer the shirt I made to the one I bought ^^"